At the beginning of March, I celebrated my birthday. This birthday in particular was unfortunately greeted with a flare up, throat infection, antibiotics and many unruly symptoms. I was not only facing a lot from a physical perspective, but this was also a challenge mentally due to the fact that I had warmed myself up to the idea that this year, things would be incredibly different, from a celebration point of view. Health troubles or not, this was going to be the year in which I could finally soar, plan celebrations and over ride all of the previous birthdays which didn’t go to plan due to health circumstances out of my control. Perfecting that patience and inner peace towards dealing with milestones of time passing whilst living in a world of a chronic illness and disability is something that takes practice, with multiple tests and falls along the way. During every 'time milestone' that has passed, I stumble slightly, which is testing in the moment but a learning experience nonetheless. Having to pick yourself up year after year when milestones pass is not something that comes easily or lightly in chronic illness and disability. I feel that when we are chronically ill, we put so much pressure and emphasis on the actual date of significant milestones such as birthdays, knowing full well that if we live with chronic health problems, our special day holds the potential to hold elements of pain, regardless. It is strange to be torn between the reality of our current situation whilst avidly clinging on to the hope that things will take a turn for the better in the future. 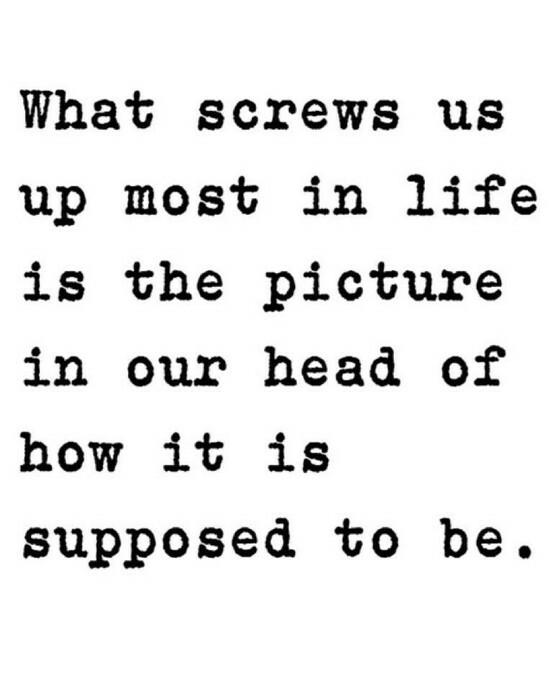 Yet that is the thing about the life, it is unpredictable and we never quite know what it has in store for us. We hope it holds our best interest, but sometimes, we have to roll with what we are given. We have to have the grace to accept the circumstances in the present for what they are, yet there is an always an element of sadness due to the yearning or wishing for circumstances to be slightly different for the better. Occasionally, we are met with types of challenges which are mostly out of our control. We get discouraged, but we soon find a way in which we can pick ourselves back up, move on with our lives and find ourselves learning a new approach and mentality towards the next celebration we are involved with. As a child, I was incredibly eager for my birthday to arrive. Probably a little too eager due to the fact that I would have a nine week countdown. My day was never marked by the passing of time but by the joy I felt inside through the innocence of childhood. As an adult, the concept of time could not be more present on my events such as birthdays, christmas, easter or anything celebratory. However, I feel this is a common trait in every adult once they reach a certain age or pivotal moment in their lives where time feels as if it is of the essence. That essence for me, has been becoming chronically ill and often feeling like I am much older than my years, physically, mentally and emotionally. That essence came from having to have the patience to wait for a time where my body could start healing, where things would fall into place and where I had to be lenient and tolerant with a force inside of my body that limited my mobility. I had to find a way to be peaceful with where I had found myself at any given age, due to my unforeseen, health circumstances. Time plays such a large factor in all of our lives. There is such a pressurised, negative emphasis on time. It can cause us to unnecessarily worry, stress, panic and greatly compare our behind the scenes to everyone else's highlight reel. How many of you compare where you are in your life, at the age you are now, to that of those whom you know in reality or through the internet? I know that I do, possibly every week if I am completely honest. As an adult, I reflect upon the thought that as children, we had no concept of time passing or setting ourselves unrealistic markers to where we should be at any given age. We just rolled with the present moment, accepting and coping with it for what it was in a peaceful and content state. Without worry, anguish or pressure. Yet, when we reach adulthood, suddenly this surge of panic installs itself into us to different degrees. We have tendencies to be our own worst critic, it is just not helpful to our evolution and designated, individual paths in life. Some of us have envisioned precisely how our lives should look or be by the time we reach a certain age. It is a pretty naive and pressured outlook to push onto ourselves, causing further health problems to contend with due to the stress of it all. We look up to our role models, parents, grandparents, family members and friends when it comes to time margins of where we feel we ’should be’, in our lives by the time we reach a certain age and through that process, knock ourselves down. I am starting to feel worn out by holding myself to those textbook time stamps and comparison techniques of where I 'should’ be. Especially, whilst facing multiple illnesses which are yet to be under my full control. I instead aim to hope, wish and choose to believe that I am where I belong, for now. I wish to believe that I am at this point in my life for a reason, for my greater good, for better things to fall into place as and when the time is right. I am choosing to believe that eventually, everything will fall into place at the precise moment it was always destined to. I will surpass all of my goals and hopes for the future but in the meantime, the present shall have my full focus and peace. Its a working progress but one in which I wanted you all to reflect on. too. They say that patience is a virtue. I am trying my best in learning to become more accepting of where I am in contrast to where I have always wished to be. I am learning to become more present, rather than focusing on my future and I am learning to believe that everything will eventually fall into place, including my greatest hopes and dreams when the time is right. I am not sure on exactly why I want to think in such a way, but I would much rather choose those comforting and loving thought approaches than that of ridiculing myself over my unchosen health limitations and the correlation they have to time passing. It does not help my healing journey, it does not help my confidence, it hinders my progress and it does not help my self belief and power to improve my quality of life. It possibly, doesn’t help you in evolving in your healing journey, either. Happy Birthday Nancy! Sadly, I've grown to dread my Birthdays now as I get older too, just marks how much time has passed and how much of the past year my illnesses have swallowed up. Am trying to change my outlook though, and instead think of it as a self care day with my family and friends, rather than focusing on the age and time passing. Doesn't make it any easier though!